The Tony Hawk series might be the King of skateboarding games, but that doesn't mean there can't be other viable contenders for the title. True Skate, currently available for $0.10 in many countries (but not in the US), is one such game, and by the looks of it does a damn good job. True Skate is the official 'Street League Skateboarding' video game, which a bit of Googling tells me is an international competitive skateboarding series. For True Skate to have these credentials is a pretty big indicator of its quality (or at least potential quality) and should inspire confidence if you are a skateboarding fan. To my amateur eyes, the gameplay looks and feels realistic, which is great, and the graphics aren't half-bad either. 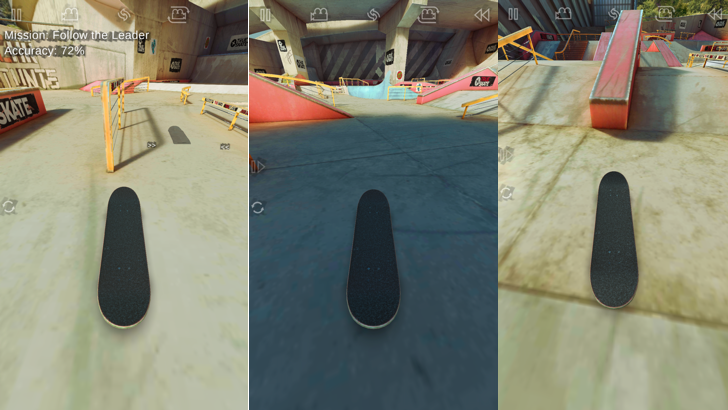 Sadly, True Skate does have in-app purchases, which is a pity. In this case, your money will net extra skateparks and official Street League Skateboarding courses. It's available for $0.10 in many countries, so go get it and skate your heart out.